Following the popular No. 5 Chanel commercial titled "L' Orchestre" (see video below) filmed two decades ago in Malta's famous Rinella tank, the perfume company returned to Malta to film in the same tank. 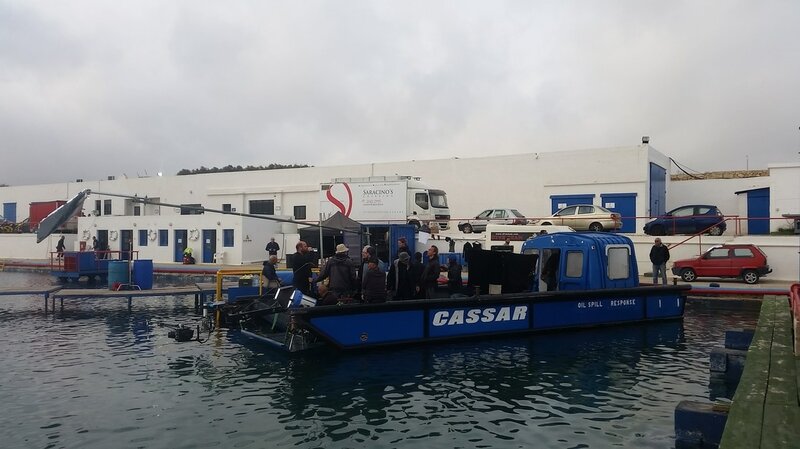 The plan was originally to film in the south of France but due to the complexity of the shots this idea was switched to Malta just days before the scheduled shooting day, giving PCP only 72 hours to prepare for a complicated and unique special effects set up inside the shallow tank. A perfume bottle was required to float and 'dance' over the water and underwater. Despite the time restraints the shoot was a total success and upon wrap French director Lisa Paclet thanked the local crew and exclaimed immediately what a pleasure it was to have worked in Malta. Besides using this world-renowned tank, formerly known as Mediterranean Film Studios, we also utilised the rocky shoreline beneath the tank which is conveniently situated five minutes away by walk. The production would not have been possible without the quick cooperation of the Malta Film Commission/Malta Film Studios which reacted swiftly to setting up the tank and its associated facilities. Filming the Chanel commercial in the Shallow Water Tank in Malta. The background sea and horizon is natural - a key feature of this world-renowned tank. The tanks, formerly known as Mediterranean Film Studios, are now called Malta Film Studios, temporarily being run by the government until new owners and investors are sought. The production utilised a motorised barge-like boat in order to move the entire set on the water.